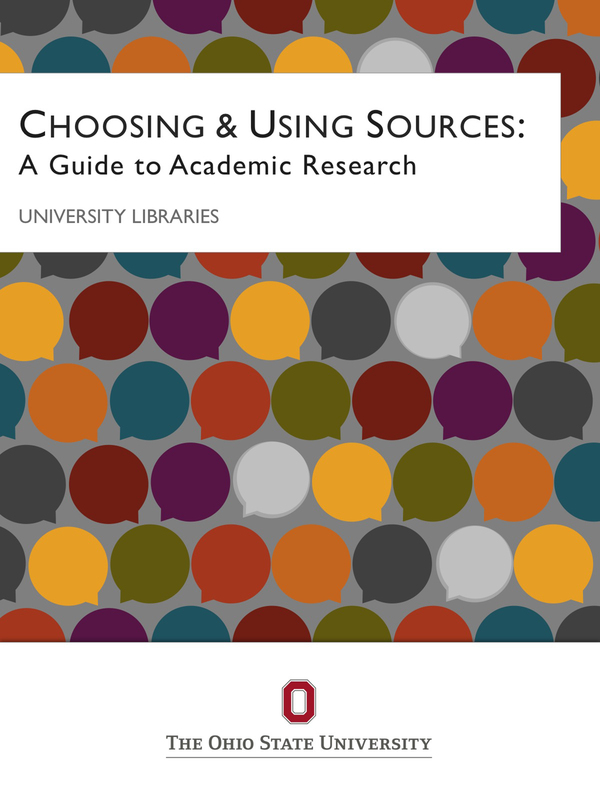 Book Description: Engaging graphics, compelling examples, and easy-to-understand explanations make Choosing and Using Sources: A Guide to Academic Research, your most valuable, open access resource for completing research-based writing assignments and projects. With this free-of-cost guide, students are better equipped to tackle the challenges of developing research questions, evaluating and choosing the right sources, searching for information, avoiding plagiarism, and much more. Research help through short videos, easy-to-follow explanations, and self-quizzes, designed to help increase your understanding of the research process. A guide with easy-to-navigate chapters and tips to help you figure out what your instructor may be asking for in a writing assignment or research project. Time savings and increased confidence to successfully carry out research for your class. Get started with Choosing and Using Sources today. ❱❱❱ View additional formats of this book. Chapters cover developing research questions, understanding types of sources, searching for information, evaluating sources, and avoiding plagiarism. Each chapter includes self-quizzes and activities to reinforce core concepts and help you apply them.